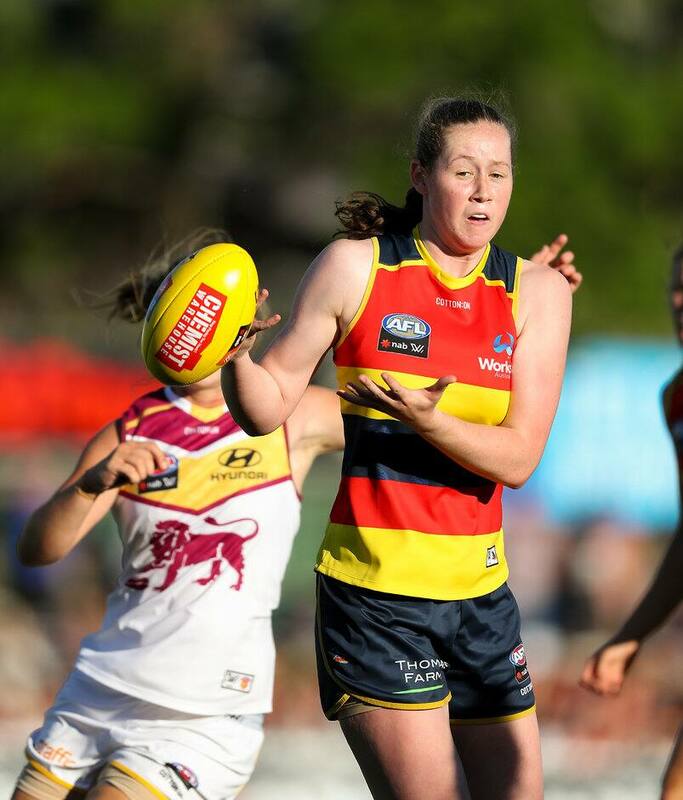 EMERGING Adelaide ruck Jess Allan and teammate Ruth Wallace won't play in the NAB AFL Women's competition in 2019 for personal reasons, while Carlton midfielder Sophie Li will join the Crows. And the AFL confirmed Melbourne has added a player on its list to replace skipper Daisy Pearce, who is pregnant and won't play next season. AFLW rules allow for list changes and possible compensation past the point of final list lodgements following the trade and re-signing period. "The AFLW guidelines state that after an AFLW player commits to a club but has an unexpected change of circumstances, the AFL will assess the best course of action for all parties involved, including whether any compensation is provided to the clubs impacted," the AFL said in statement on Wednesday. Allan won't play in 2019 due to a change in employment circumstances (she has been accepted into the Australian Army and will complete a three-month training program), while exciting forward Wallace is also unable to play due to personal reasons. Both have been placed on the team's inactive list. South Australian Li, who played for Carlton's VFLW team this season after a stint with the Blues' AFLW team, will return home and play for Adelaide in 2019 due to employment reasons. Li is a paramedic. Adelaide will gain pick 53 in the 2019 NAB AFLW Draft as compensation, while Carlton will be allocated pick 42. If the Crows want to re-list either Allan or Wallace for the 2020 season, they would have first right but must use a fourth-round draft pick in the 2019 draft to retain Li. Melbourne's replacement for Pearce has also been confirmed, with rebounding defender Casey Sherriff, who played for the team's VFLW affiliate Casey Demons, added to the AFLW list. The 20-year-old played 10 games for Casey this year. If Melbourne re-lists Pearce, Sherriff must be retained using a second-round pick in the 2019 draft. The Demons have also signed Chantel Emonson as a rookie. Emonson comes from a cricket background and played four games for Casey this year. Clubs have until Friday, September 28, to sign rookies, with the NAB AFLW Draft to be held on Tuesday, October 23.